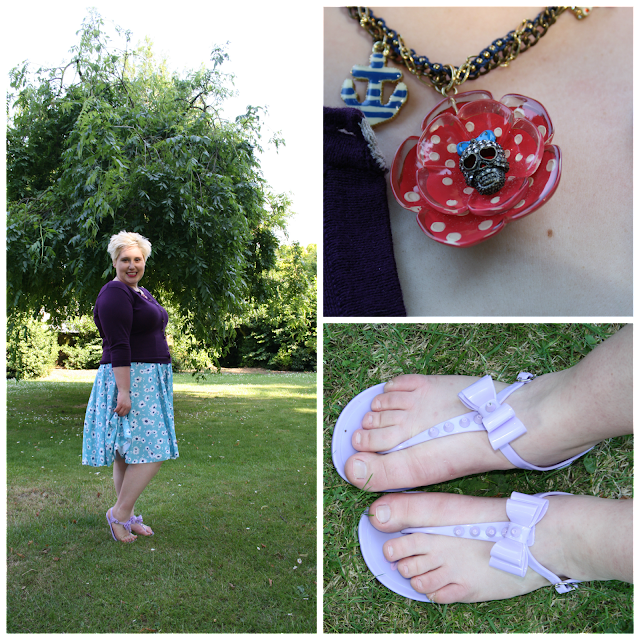 Toodaloo Katie: Skirting in the Sun! Over the weekend, when we had a couple of absolutely amazing Summer days, I made sure to get out and enjoy it whilst not at work. A few weeks ago, while out in Whitstable, I popped in to a couple of charity shops and managed to snag this lovely vintage skirt. It is so light and airy and flowery!